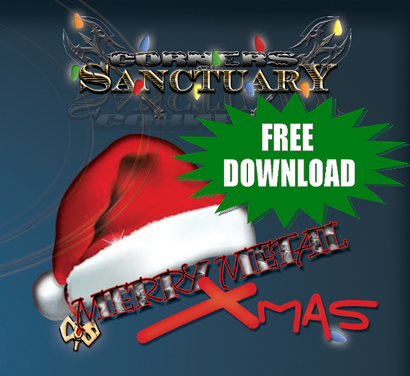 CORNERS OF SANCTUARY Christmas song metal version collection EP "Merry Metal Xmas" is available for FREE DOWNLOAD on their website until December 25th 2013. The EP contains 3 tracks and the cover artwork on zip file. Go to DOWNLOAD section on their website.